Eggs Easter eggs or Paschal Eggs are a very old tradition to Celebrate the coming Spirng as Eggs are a symbol of spring and new life, exchanging and eating Easter Eggs is a popular custom in many countries. 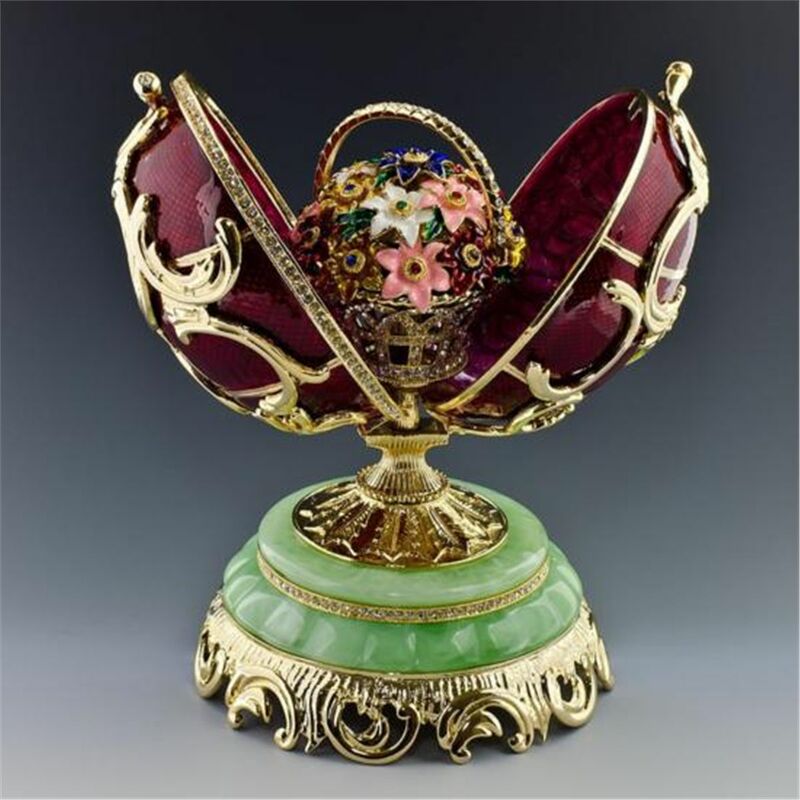 The first person in the U.K. to receive an official Easter Egg was Henry VIII. The Egg was sent by the Pope. I think we all know all about this tradition, the eggs are hidden usually by parant’s of young children, who then go out and try and find the eggs. When the hunt is over prizes are given out for the one who found the most egg’s. The eggs used to be regular chicken eggs hard boiled and painted now it is more tardtional for the egg’s to be chocolate. In order to enable children who suffer with visuela imparements eggs have been created that emit various noises such as clicks, beeps and music. This way all children can enjoy an Egg Hunt. In the UK, Germany and many other countries chicken eggs were rolled down a steep hillsides at Easter and winner was the owner of the undamaged egg. In Preston, Lancashire to this day they still carry out the custom of egg rolling, Hard boiled eggs are rolled down slopes to see whose egg goes furthest. It is said that there is a Easter Egg Roll on the lawns of the White House. In the uk especialy in the North of England during Easter, a traditional game is played where hard boiled eggs are distributed and each player hits the other player’s egg with their own. This is known as Egg Tapping. The winner is the holder of the last intact egg. The losers have to eat their eggs. 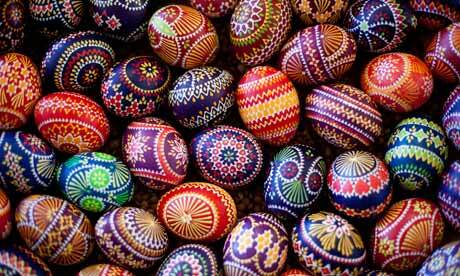 Decorating Easter Eggs is a common tradition in the UK particularly in the North of England, Scotland, the Isle of Man and Ireland. Decorated Eggs are sometimes called ‘pace eggs’ The word pace comes from the word ‘pasche’ meaning Passover. The Egg Dance is a traditional Easter game which eggs are laid on the ground or floor and the goal is to dance among them without damaging any eggs. This game is said to originated in Germany. In the UK the dance is called the hop-egg. Such a rare and priceless gift is unlikely to find its way into most of our hands this Easter day, but chocolate eggs will be widely held. The first chocolate eggs were only developed in the early 19th century when, originally in France and Germany, a blend was created that could be shaped. In England, John Cadbury made his first solid eggs in 1842, but it was not until many years later, after a press was successfully used to separate the cocoa butter from the bean, that a finer chocolate was available, and being easy to melt and mould the result was the Cadbury Easter egg of 1875. The first eggs were made of smooth plain chocolate and the insides were various candy’s like marzipan flowers, boxes and ribbons to decorate. This entry was posted in History and tagged Easter, Easter Eggs, Easter Special, History.